how much i like my chair! or maybe it’s because there’s no tv in this room? have i mentioned i am a quilter? >YOu are very good at quilting- those two are beautiful. Nice captures too.I read your last journal entry- it is beautiful. >Love your quilts. You are so talented. I really love your quilt rack. 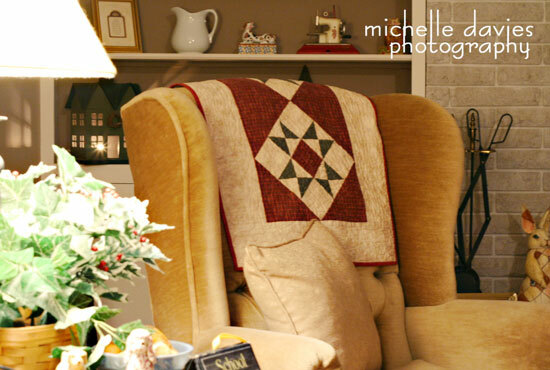 I think quilts just make a house so homey. Glad to see someone else shares my passion. >You have a gift my friend and I’m so glad we got to see it! Like your chair too…cute story behind it.I like the warmth in your photos here, adds a homey touch. >Great photos. Funny about your chair. 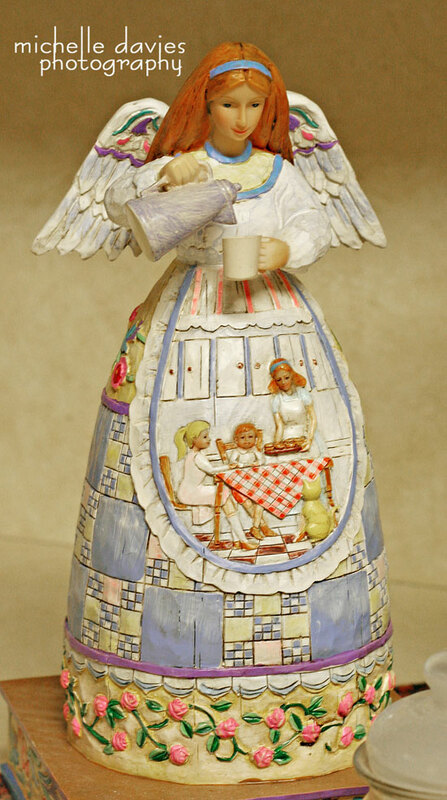 Great quilts by the way – and that figurine is beautiful! 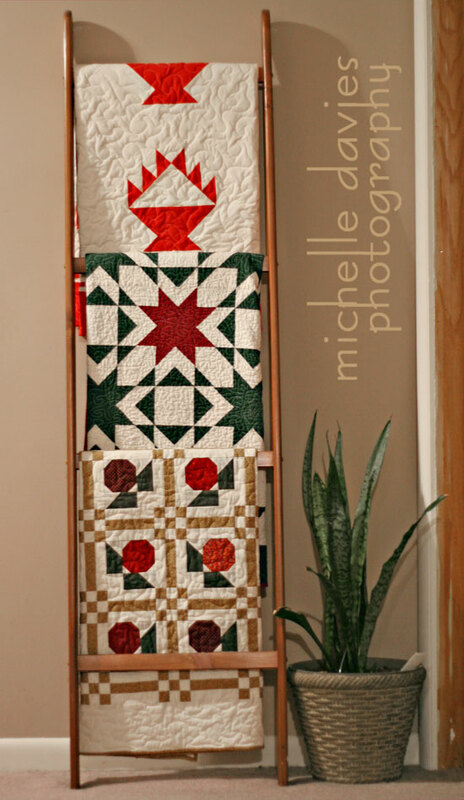 >Love those quilts! My mom also quilts and she has made me 2 so far. 🙂 And love your Jim Shore figure. I hope to get the nativity scene some day. TFS! >These are beautiful photos wonderfully captured. Your quilts are stunning! >Quilter. WOW!!! I can barely mend a hem here and there (the socks I just throw away). You are talented indeed.And you know what, your previous post was BEAUTIFUL! Loved the journaling and how it described the reasons/hopes for each one of your loved ones. TFS!